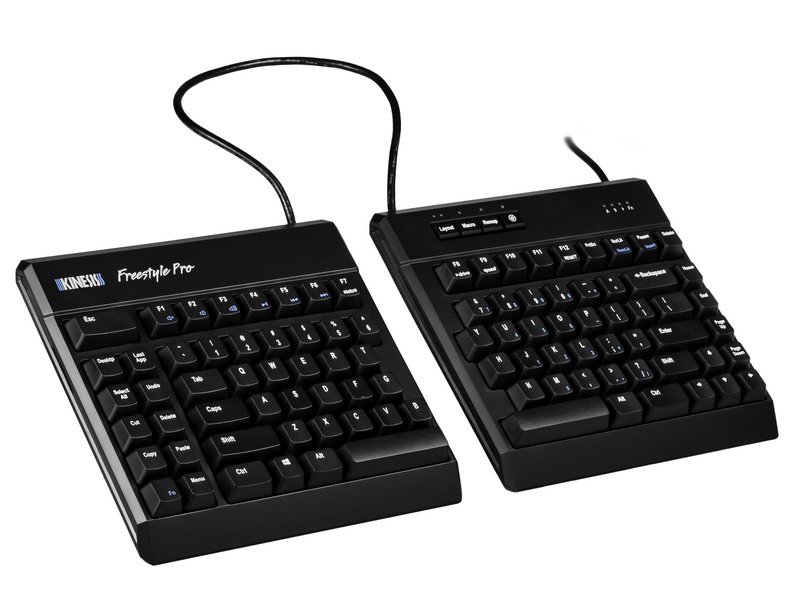 The Freestyle2 Blue for Mac is an award-winning split keyboard designed to adjust to your body and typing style. 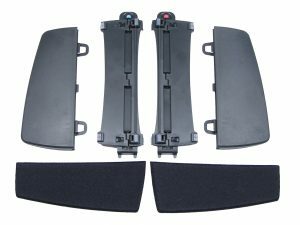 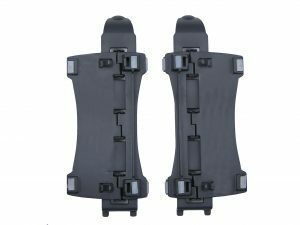 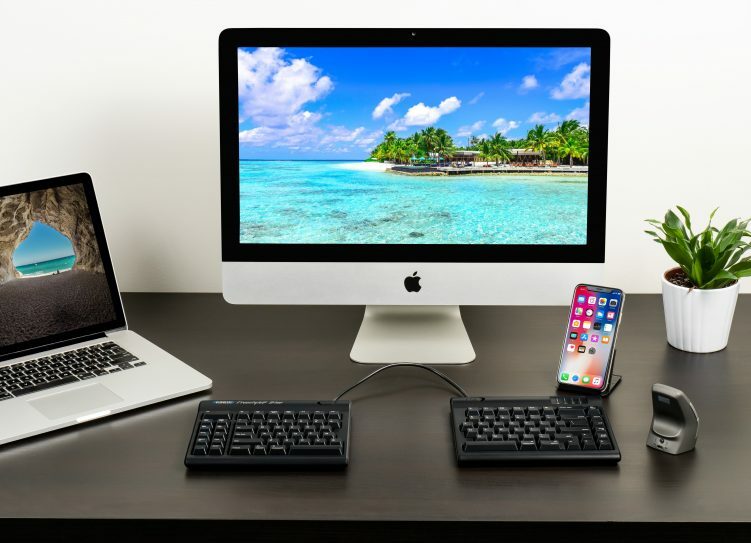 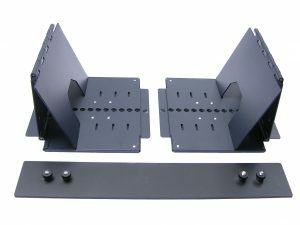 It features a familiar Mac layout and shortcuts, plus convenient Multichannel Bluetooth technology for wireless pairing with up to three of your Apple devices (e.g., iMac, Macbook, iPad, or iPhone). All refurbished units are thoroughly factory tested, inspected and cleaned and backed by the same 2 year limited warranty offered with our new models. 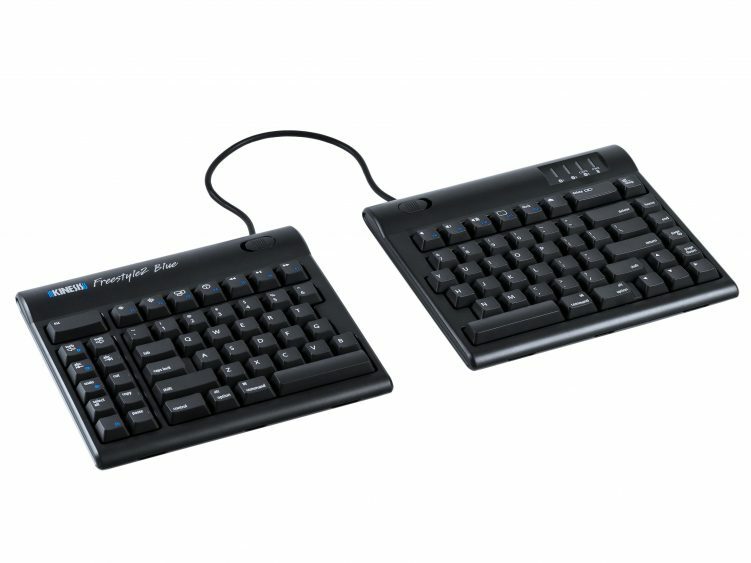 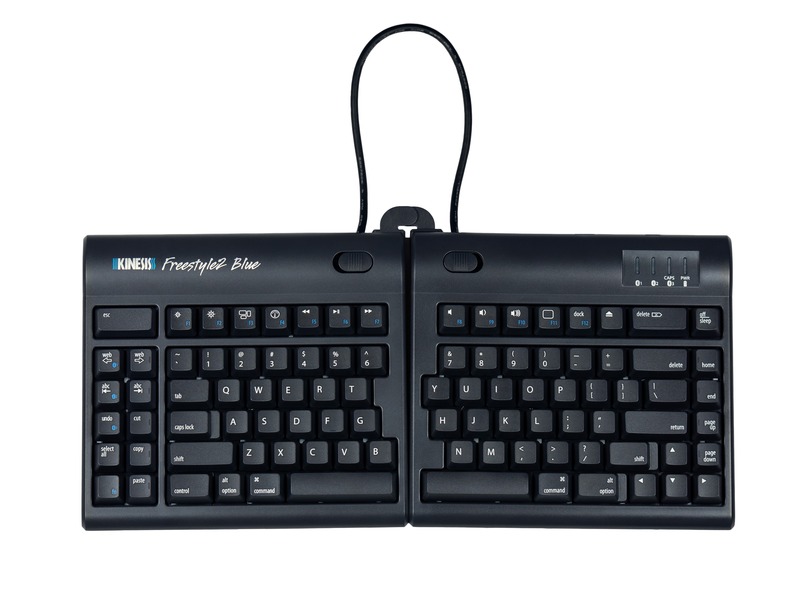 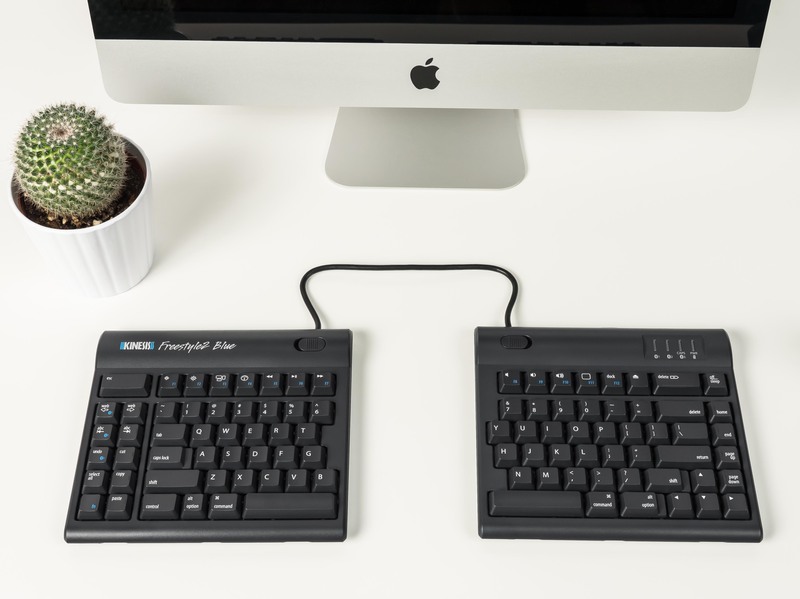 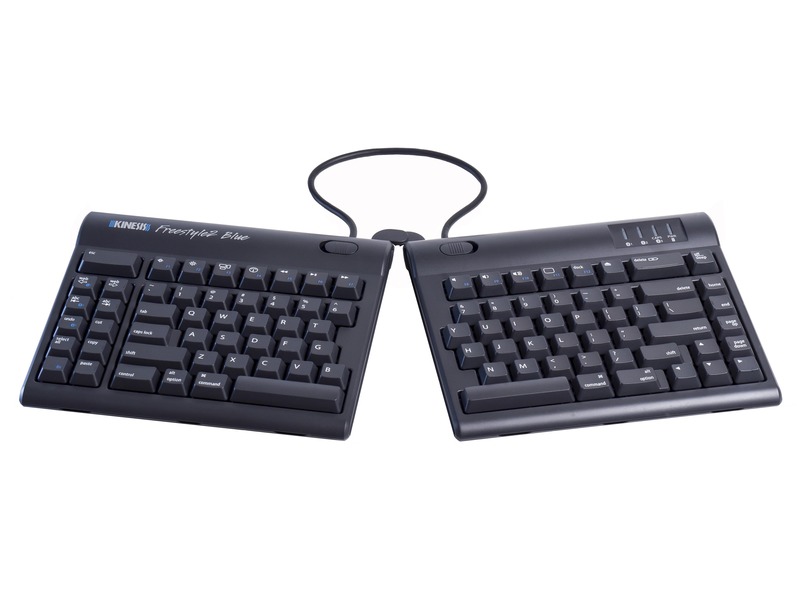 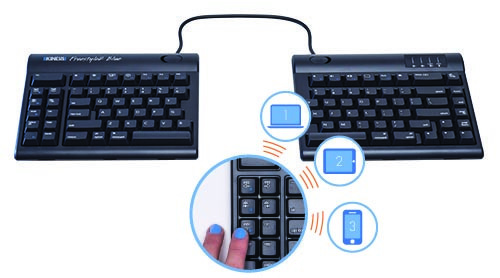 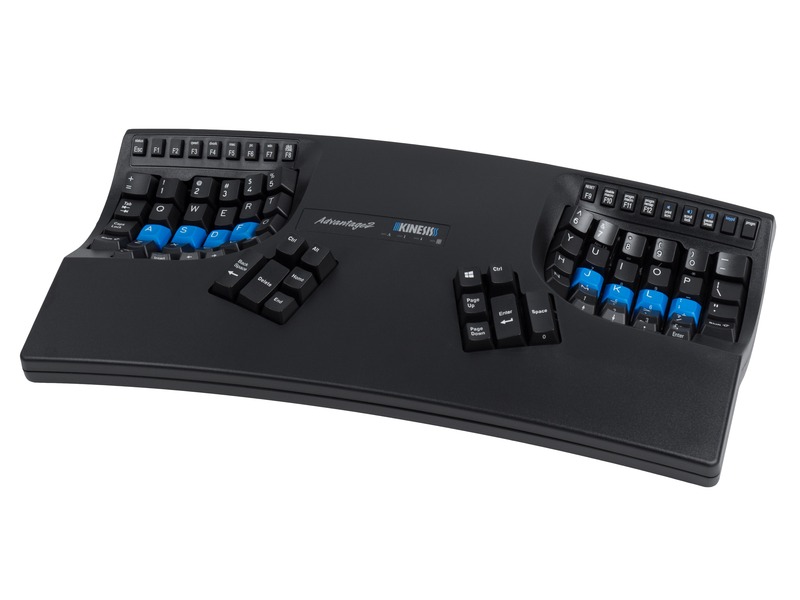 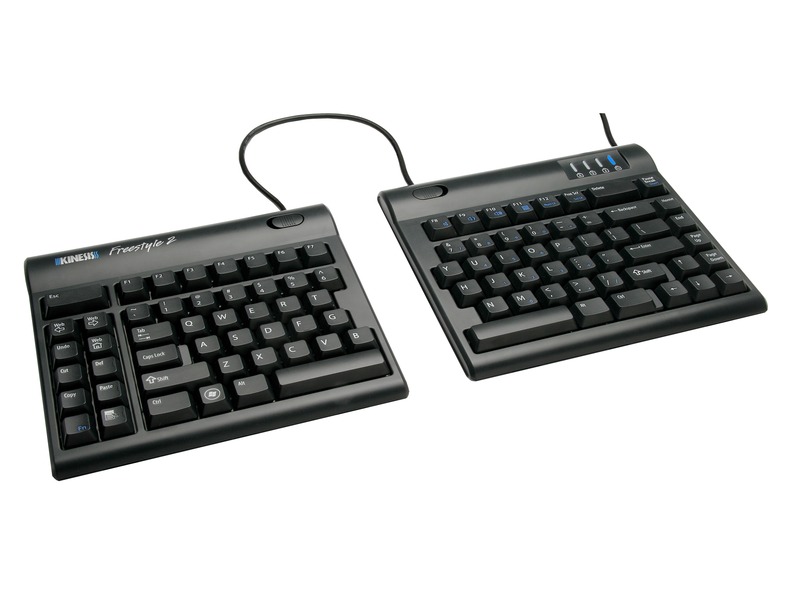 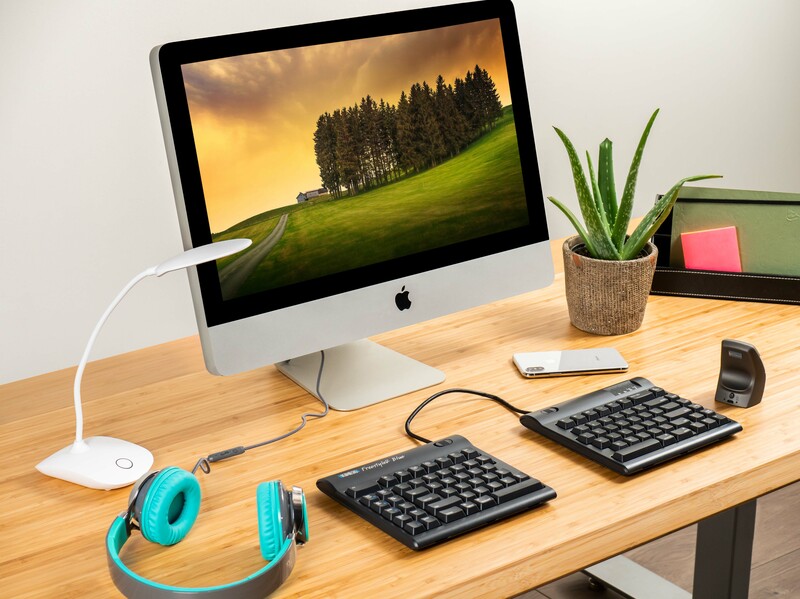 The Kinesis Freestyle2 BlueTM wireless keyboard combines our award winning split-adjustable ergonomic design with the convenience of bluetooth connectivity. 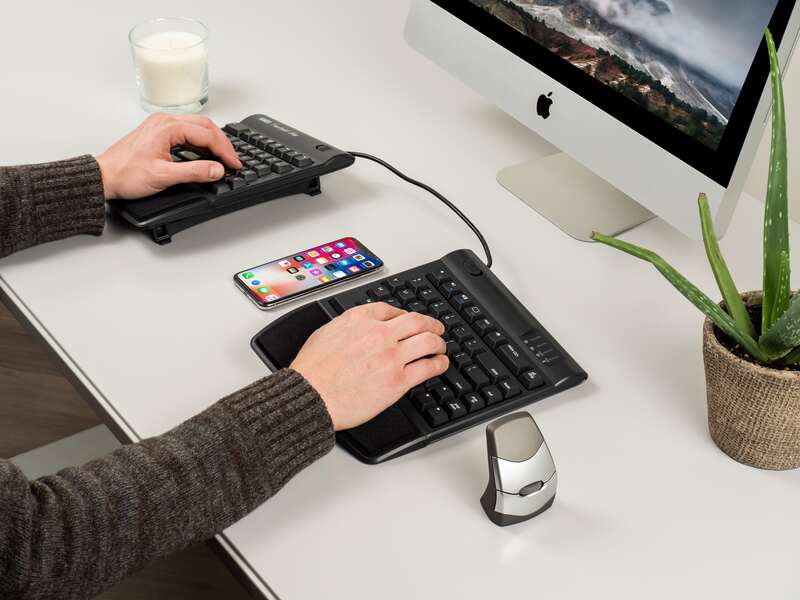 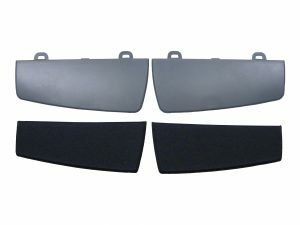 No more sacrificing comfort when typing on your iMac, Macbook, iPad or iPhone. 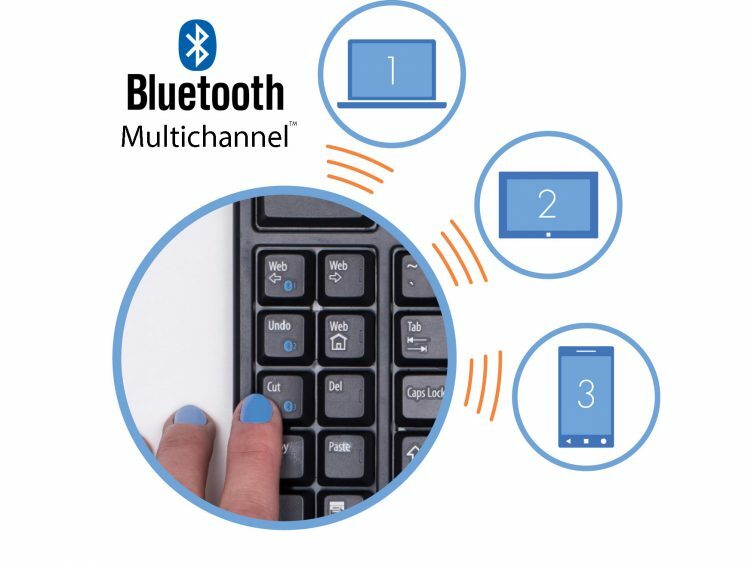 Multichannel technology lets you pair up to 3 three Bluetooth-enabled devices with the Freestyle2 Blue and instantly switch between them directly from the keyboard.